I cant believe in 1 week I will be on the Continent of Africa, Country of Morocco, and In the middle of the Sahara desert, this is extremely exciting! The small setback I’ve had with my knee over the previous couple of weeks, and being unable to run has been moved to the back of my brain because of the immense exhilaration I feel with the beginning of my next adventure edging very close, its starting to feel like christmas…. The rest of the week was filled with final preparations to my kit, packing techniques, equipment checks, more mental preparation, and a little training as well. Ive completed a couple of sessions on the exercise bike, a few on the xtrainer, and Ive even managaed a small amount of running, thats right im back bounding along the treadmill…. 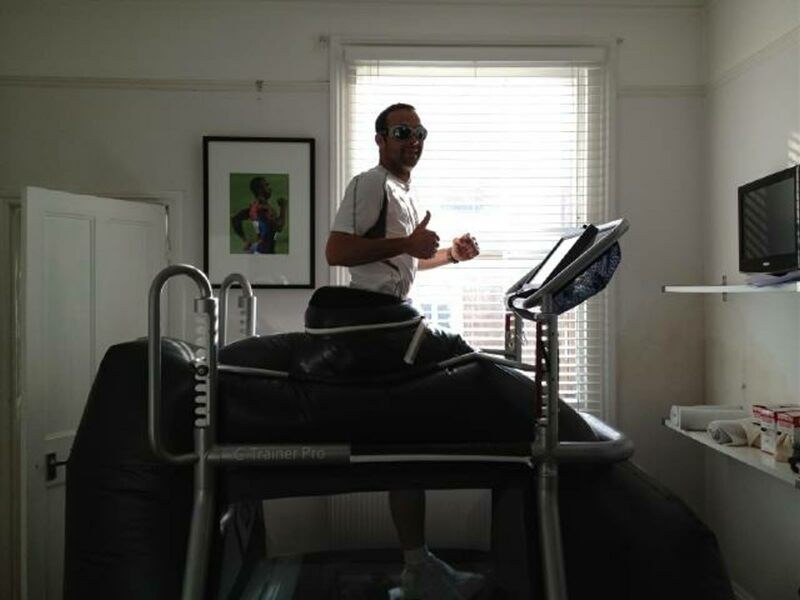 But not just any treadmill but an Alter G treadmill which I’ve been using at Move Clinics in Chiswick. The Alter G treadmill enables runners who are returning from injury to run at a percentage of their body weight in a controlled environment. I ran for 30minutes with no pain at all and looked good wearing my sandstorm goggles too! 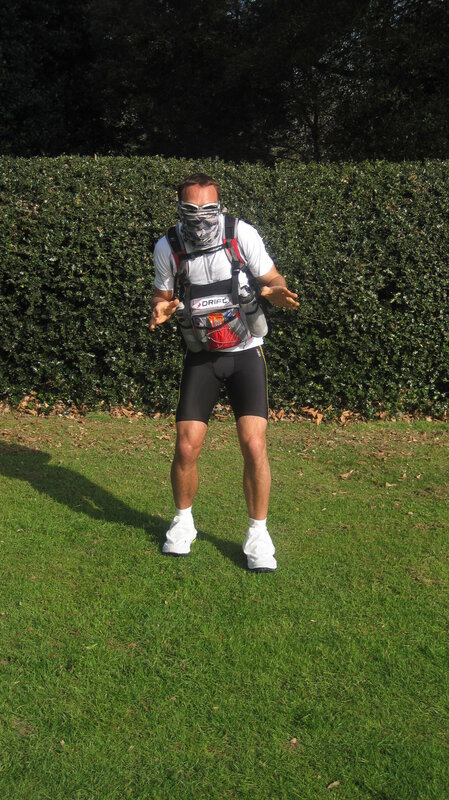 I will be heading back to do a couple more sessions of running before I leave for Morocco on Thursday the 5th April. These sessions are not to help increase my fitness at all but rather just keeping the body reminded of what it is about to do for 7 days; run 6 marathons through 50 degree heat, over mountainous sand dunes, and kilometre long loose rocky inclines, then to top it all off, finish in the elite top 50 runners from 887 competitors, I’m ready!!! You have legs like myself – they will get you far! Wishing you all the best for the exciting adventure that lies ahead of you… It will be such an amazing experience and I know there will be lots of big smiles on your face when you start eating up the Kms on the sand! Go ! Go ! Go ! Will be thinking of you this time next week. Injection week My Marathon des Sables Adventure!